1. Jindal Poly Films Ltd is a 10 rupee face value Commodity Chemicals company. Security ID: JINDALPOLY Group / Index: B / S&P BSE 500 Face value: 10.00 Security Code: 500227 ISIN: INE197D01010 Industry: Commodity Chemicals. Short Brief of Company Business:- Jindal Poly Films Limited is a part of INR 30 billion B.C.Jindal group, a 58-year-old industrial group offering a broad range of products. The group has promoted some companies over the years and is involved in diverse activities including manufacturing of Polyester Film, Polypropylene film, Steel pipes and Photographic products. 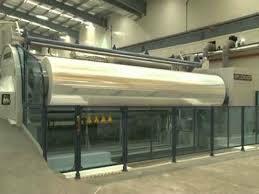 JPFL is the largest manufacturer of BOPET and BOPP films in India. JPFL diversified in 1996 into BOPET film production. In 2003, JPFL commenced production of BOPP film and metalized film. JPFL capabilities were strengthened by acquisition in November 2003 of Rexor S.A.S, in France, which produces metallized and coated films as well as tear tape, stamping foil, security thread and other high-value products. JPFL plant at Nasik, Maharashtra is the world’s largest single location plant for the manufacture of BOPET and BOPP films. Capacity as on June 2016 1,27,000 tpa of BOPET films. 2,10,000 tpa of BOPP films. 71,610 tpa of metalized films. 14,000 tpa of coating films. JPFL 8th largest BOPET Film manufacturers in the World. 2. Year high of Jindal Poly Films Ltd is 476.10 year low is 300.00 and stock traded at 394.85, Year high/ low ratio is below 2. 4.Jindal Poly Films Ltd Stock has a regular dividend history and As you know most of my recommendations are dividend paying so we get dividends in our holding periods. 7. Jindal Poly Films Ltd net sale per share of FY 16-17 is 623.53. 8. Net sale per share 625.53 is very high, so the stock has a good chance to move above his net sale per share. 8. The book value of Jindal Poly Films Ltd is 542.75 Book value is also higher from CMP, so this is the reason why I choose this stock for my fundamental recommendation because it fulfilled all of my research terms. 9. 200 DMA of Jindal Poly Films Ltd is 375.60 So at CMP 394.85 Stock recently cross his 200 DMA, so I choose this level for my recommendation. 10. 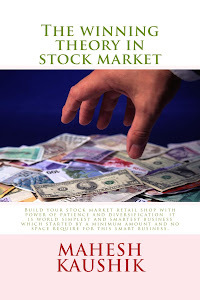 Fundamental target price of Jindal Poly Films Ltd is 461.75 ( Read my book to learn how to calculate the fundamental target price of any stock.) So our first target 461.75 and second target 625.53+ ( above net sale per share). Why I PublishResearch Report After A Long Time:- Many of my respected followers ask per day "why not I publish research reports these days?" So I want to clear that per day I scan many stock but do not publish a research report until stock full filled my research terms and until I completely satisfied with stock fundamentals. Need My Mobile Number:- I frequently got the request from my followers that they want my mobile number and my whats up number so I again clear that due to 27000 followers worldwide I an unable to talk on mobile and unable to guide you personally. Please do not disappoint if you did not get any reply because you knew my busy situation, but I try my best to reply maximum followers. 11. Disclaimer:- This is not an advisory service to buy or sell. The contents of “this research report” are only for educational purposes. No liability is accepted for any content in “this research report.” The author is a registered research analyst but he does not give investment advice. His comments are an expression of opinion only and should not be construed in any manner whatsoever as recommendations to buy or sell a stock, option, future, bond, commodity, index or any other financial instrument at any time. The author recommends that you consult with a qualified investment advisor, one licensed by appropriate regulatory agencies in your legal jurisdiction, before making any investment decisions. Please read the full disclaimer at the bottom of my blog. 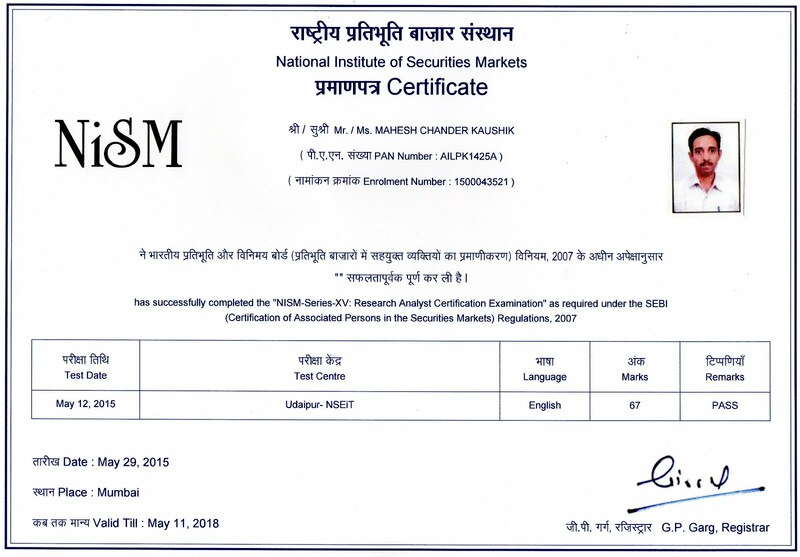 12.Discloser:- I Mahesh Chander Kaushik author of this research report is an existing research analyst and passed NISM certification for research analysts. I am also registered with SEBI(RESEARCH ANALYSTS) REGULATIONS, 2014 ( SEBI Registration Number INH 100000908 ) hereby disclose about my financial interest in the subject company and the nature of such financial interest:- 1 Me and my associates or relatives have not held any share of Jindal Poly Films Ltd so my personal interest is not included in this stock. 2. Me and my associates or relatives have not any actual/beneficial ownership of one percent or more securities of the subject company ( Jindal Poly Films Ltd). 3. Me and my associates or relatives have not any other material conflict of interest at the time of publication of the research report. 4. Me and my associates or relatives have not received any type of compensation from the subject company(Jindal Poly Films Ltd) in the past twelve months. 5. I am not served as an officer, director or employee of the subject company ( Jindal Poly Films Ltd). 6. I have been not engaged in market making activity for the subject company (Jindal Poly Films Ltd).